We rounded off the year with our Xmas Social. Those of us who weren’t struck down with whatever seasonal virus is going around, and some who were just risen from their sickbeds, enjoyed a convivial evening and a viewing of the 2014 Badby Challenge images. 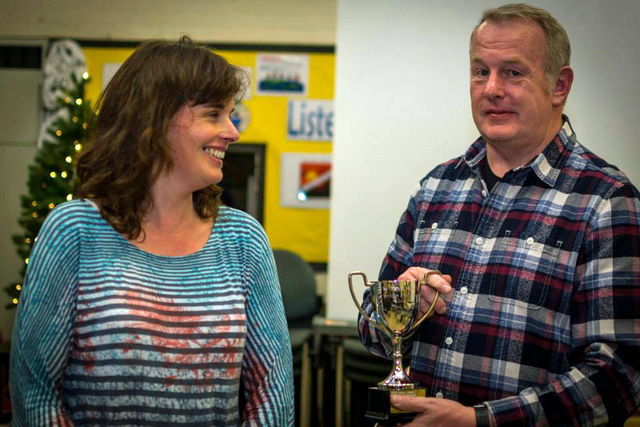 Alan Roffey was confirmed as the 2014 winner of the Open League for the Peter Saul cup, which was presented by the inaugural winner, Jenny Tilley.